Arkansas Tech University will host its fourth annual scholarship benefit dinner on Friday, April 13, at John E. Tucker Coliseum in Russellville. The event will include an evening of music, dinner and the opportunity to hear from an Arkansas Tech student who has benefited from scholarships available through the ATU Foundation. The attire for the evening will be business casual. The event will begin with a 6 p.m. reception featuring a student showcase of projects. Dinner will begin at 7 p.m.
Tickets for the event are $100 per person, and funds raised from the dinner will be used to support student scholarships at Arkansas Tech. 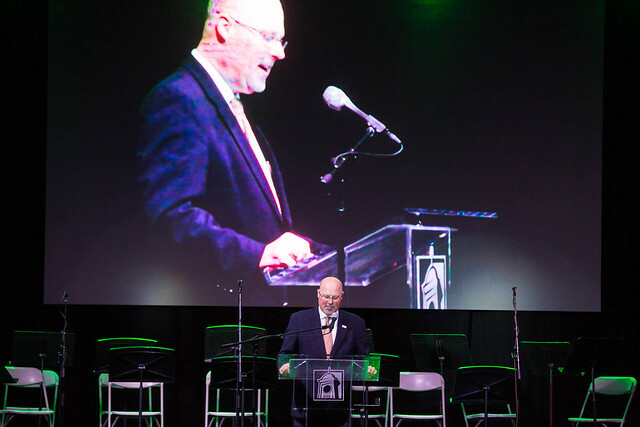 Over the past three years, the event has raised more than $300,000 to support ATU students. Those wishing to attend should RSVP by Friday, March 30, online at bit.ly/ATUscholarshipdinner18, by calling (479) 968-0400, or by visiting the Division of Advancement office in the ATU Administration Building.